Dolphins Play Everyday is a pre primer/primer level COOL SONG in the key of C Major specifically composed for brand new students – especially younger students who are learning the note names. 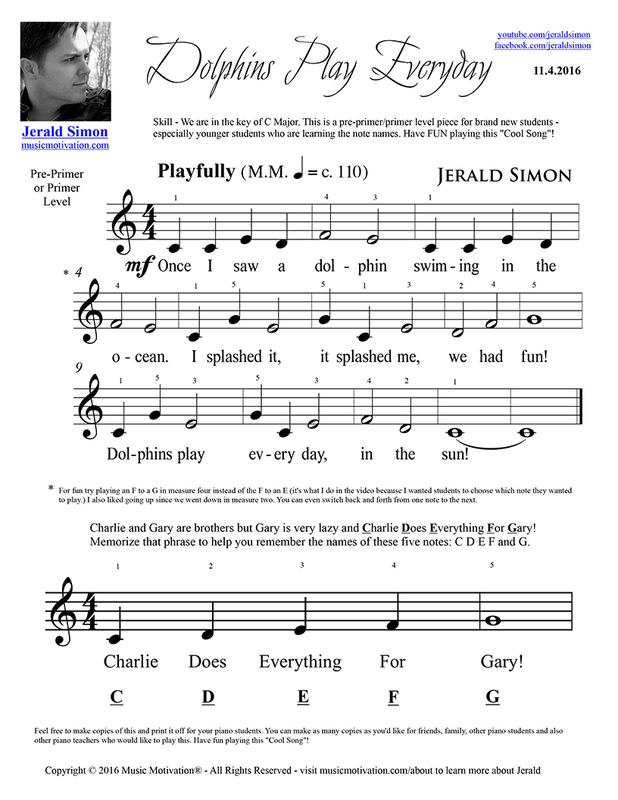 To help students learn C D E F and G, I have them memorize the saying: “Charlie Does Everything For Gary!” Have FUN playing this COOL SONG! Go on…Have FUN with this! 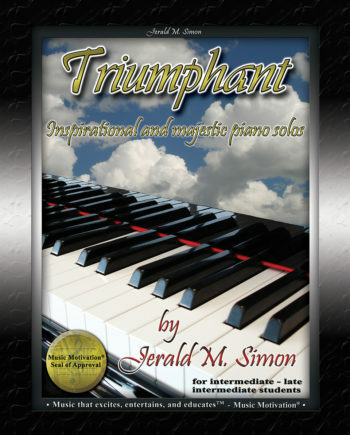 With this FREE download you will receive the PDF music as well as three MP3 downloads (described below from the COOL SONGS Package). 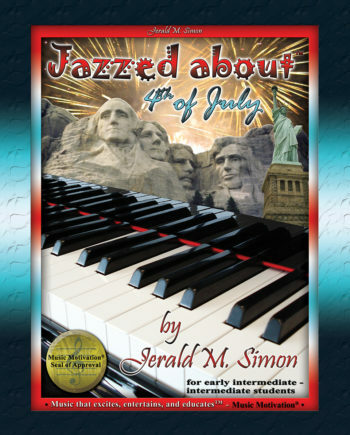 This fun COOL SONG composed by Jerald Simon, is one of the FREE piano pieces from the COOL SONGS Package. Feel free to print this off, download it, share it, and re-print it. 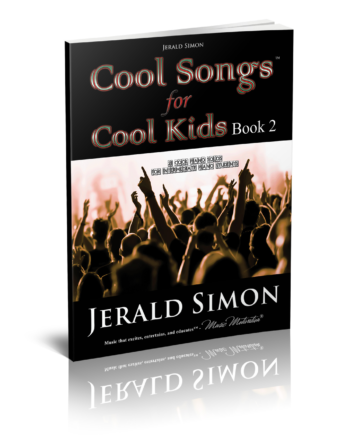 To learn more about Jerald’s COOL SONGS, please visit his website at musicmotivation.com/coolsongs. 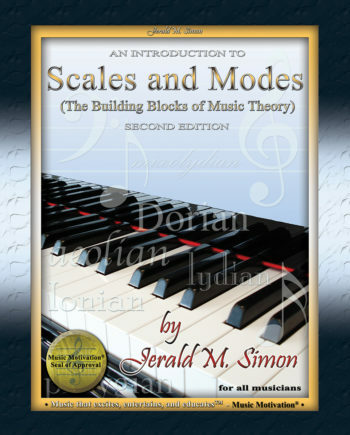 Watch the video below of Jerald playing Dolphins Play Everyday and teaching the theory of the piece.